If self directed learning is a goal we desire for our children, then we need to teach them the steps involved and the discipline it takes to arrive there. 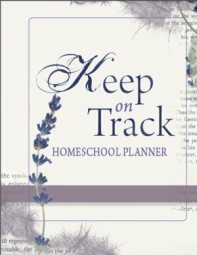 One way to encourage self directed learning in your homeschool is to set up independent or individualized learning programs. These can also be called self directed learning contracts. They don't need to be formalized courses - but this may be an advantage if you need to report their learning to the authorities in your state/country. Also, it's a great way of expressing what your children have been doing to other interested family members. An individual learning program or contract is a Course which is individually designed by the parent or child or both to develop certain skills and abilities according to their interests. It is reviewed monthly to include other areas of interest. It is a unique program, because you are the co-author with your child and you choose materials which will help you develop a skill set in any prepared course. So, how does this work? 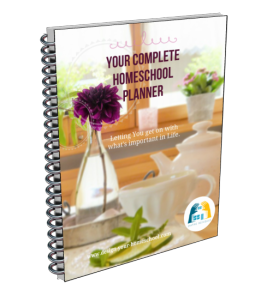 How do I include Individual Learning Programs in our homeschool? How do I design our own independent courses? Keep reading! 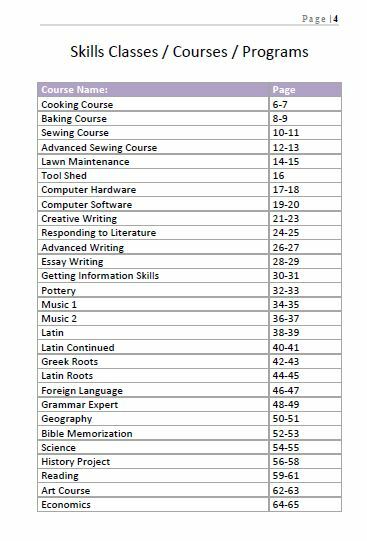 All of Learning or Just Electives? Firstly, it is good to ascertain whether the Individual Learning Program you develop is the whole sum of their education or is a set of Electives? From my own perspective as a homeschooling parent of a number of years, I have learned that I love to be directly involved with at least some of their subjects. I also like to have input and real teaching time. I also like to see them develop interests on their own and so for me, I encourage Individual Learning Programs with flexibility and choice as well as maintain my own ‘agenda’ with certain requirements. To me... I like a bit of both worlds. You may decide that for a part of the day, you have a set routine where the children follow certain requirements which you have planned, and then for the second half of the day, they follow their ‘electives’. Perhaps you feel more comfortable setting requirements in some key learning areas, and then giving choice in others. Alternately, you could choose to run with independent learning programs every second week. You could also choose to gather together at the beginning of the day where you get involved in group time, in which you teach, discuss, read aloud, set up the plan for the rest of the day, and then each person follows their own independent program according to the schedule they have set. In order to lay an educational foundation, there are certain skills that need to be taught. Most of it is centered on Language Arts: Reading, Writing, Speaking and Thinking. Having mastered those skills, enables students to tackle, research and gain understanding across the disciplines. When do you start Self Directed Learning Contracts? This answer varies according to different families. Very early on, a parent notices their child’s interests develop and from that age you can guide and develop courses that connect with your child. However, as the name suggests, self directed Learning Contracts do require a certain level of independence. Using the homeschooling resources you have available, and the interests of your children as a starting point, create your own individualized learning programs for your children. Create a folder with interesting suggested courses for your children and be prepared to add more when you sit down with each child - discussing their interests and goals. 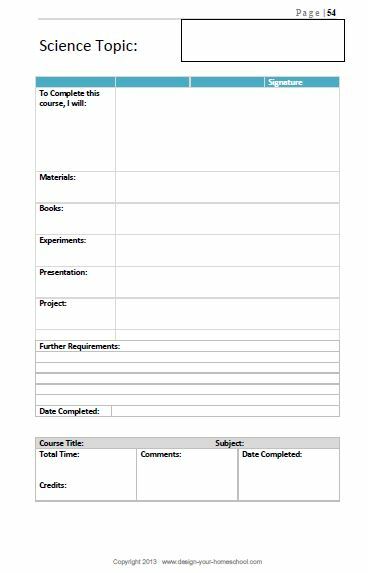 Create a Course Sheet on to which you can add goals, specific requirements, ways of evaluation, dates of completion. In order to begin the self directed learning contracts with your children, you need to create a special time to sit down with each child. I find it best to re-evaluate each month. Ask them what they would really love to study or learn over the year. Is there something they haven’t had time for yet, but would love to make time for? What about this month? What would you like to research? Do? Create? Have time for? It may be possible that you have resources in your home that will enable them to reach their desired goal. If so, take the material/ curriculum/ resource off the shelf and discuss it with your child. Discuss how they may be able to use it and create goals with them. Discussing these things will help your children become self directed learners. In order to set goals, you need to assess the scope of the topic they have chosen, the time they have available, the other goals they want to pursue or what you require from them, and also how you will evaluate whether their goals have been reached. This needs to be taken into account when adding goals and evaluation on to the Course Sheet. Once the courses have been selected, you need to help each child allocate time in their week to achieve their goals. 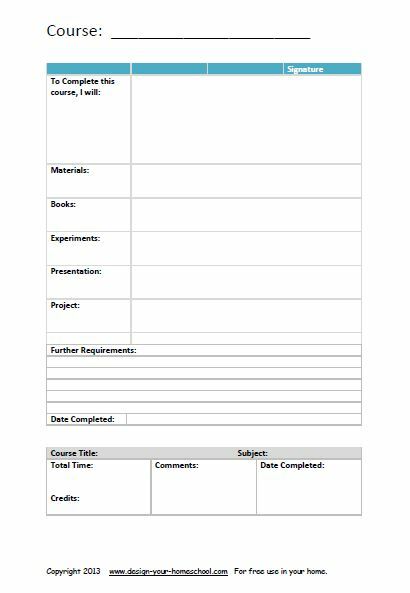 This can be written into a simple timetable thus allowing them to complete their own objectives. Like to Learn More to Develop Individualized Learning Programs? Individualized Learning Programs can be set up by any homeschooling family to meet their family's goals and children's interests in order to develop skills. 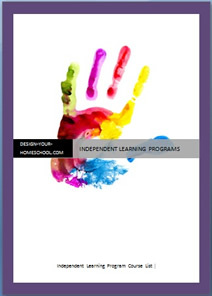 Would you like to learn how to set them up in your homeschool and see examples of Independent Learning Programs? The course below guides you through the steps, helps you choose and create your own independent learning contracts. Reading, Writing, Speaking, Thinking Skills Chart and suitable Courses to incorporate these skills. 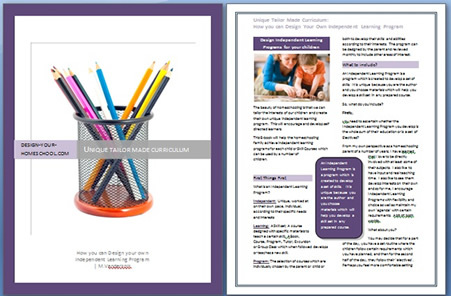 Also included is the ILP Supplemental Resource which is over 80 pages and includes more than 35 Courses I have designed for my family. 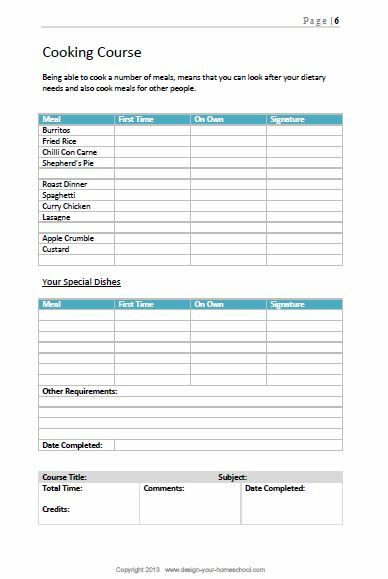 It contains Course Sheets to print out with a Credit Box (if you need to keep track of credits), a suggested link and resource list and blank Course Sheet plus Monthly Goal Chart. 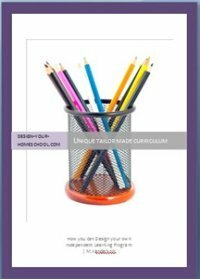 This E-book helps you to develop Individual Learning Programs in your homeschool. I guide and encourage you to design your own and be creative! Enjoy the learning experience with your children. Self directed learning - What is it? How to encourage self directed learning..